The Oculus Rift dropped in price for the second time this year — and that raises some questions about the VR set's future. At the start of the year, an Oculus Rift headset and two Touch controllers would set you back about $800. Now, it's half of that. Oculus, which is owned by Facebook, is slashing the price as part of a six-week "Summer of Rift" special sale. That makes right now a good time to get a Rift. But it could also be a troubling sign for the hardware's future. This is its second price cut in a year, and it follows an announcement in February that Oculus was taking down hundreds of its Best Buy demo stations. Best Buy employees told Business Insider they would regularly go days without one demonstration. The company hasn't tied the move to dropping sales, but research by SuperData says Oculus is lagging behind Sony's PlayStation VR and HTC's Vive. VR technology doesn't seem to be taking off the way you may have imagined when you were a kid. Funding for VR and augmented reality declined in the first quarter of this year. Still, Facebook's clearly dedicated to altered reality. It was a major part of CEO Mark Zuckerberg's talk at the company's annual conference. 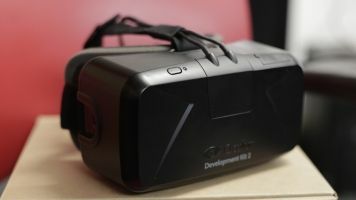 Creators of the Rift have always had moderate expectations for the first iteration of the product, and the former CEO of Oculus said they planned to put out a second version around this time. So it could be that the summer sale is their way of saying: "Out with the old, in with the new."